Gudauri.Travel- first tour operator in mountainous Georgia, Caucasus. Holidays in Gudauri. Address: Gudauri Ski Resort, Georgia. Our office in Gudauri: "Gudauri Travel Bar", New Gudauri. Legal address: Georgia, Dushetia region, Kaishaurebi village,Vartsla mountain. Commercial space number 7, 1st floor. (Bar "Gudauri Travel" on the first floor of the aparthotel "New Gudauri RED KO"). Bank details: GUDAURI TRAVEL LTD (id 404891907), VERA BRANCH OF JSC TBC BANK. Tbilisi. Georgia. SWIFT: TBCBGE22818, GE18TB7859036180100001. The Georgian company GUDAURI.TRAVEL is the first tour operator in the mountainous Georgia, officially registered on March 22, 2011. Employees and guides of the company permanently reside in Gudauri. 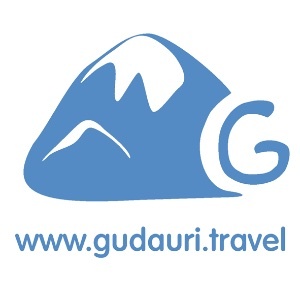 Website www.gudauri.travel does not contain any advertising and helps to see the pros and cons of all hotels, find answers to any questions before an independent trip to Gudauri, book a hotel, meeting at the airport and transfer to the hotel. It only remains to put your things in suitcase in anticipation of new impressions and not be late for the plane. - Up-to-date and regularly updated information about the availability of rooms in hotels in the Gudauri Ski Resorts: cost, discounts and special offers. - Online booking of accommodation without commissions. - Transfer of your prepayment to any hotel in Gudauri by bank cards. - Special terms for groups and tour operators. - Information support of our clients before and after arrival in Gudauri. - Organization of adventure programs, trekking and mountaineering.